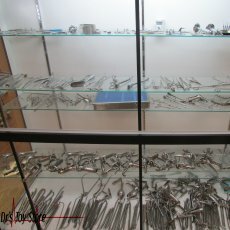 New and Used Surgical Instruments are for Sale at The Dr’s Toy Store. Buy Surgical Instruments now for the Best prices. Surgical instruments are tools specially made to help healthcare professionals perform certain actions during the operation. Most instruments made from the early 19th century are made of durable stainless steel. Some are designed for general use and others for specific procedures. There are many surgical instruments available for virtually any specialization in medicine. 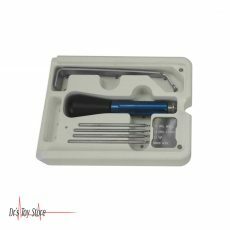 There are precision instruments used in microsurgery, ophthalmology and otology. Cutting and dissecting with surgical instruments like Scalpels, Scissors, and Saws. Grasping or holding surgical instrument are Smooth anatomical and toothed surgical Forceps, Towel Clamps, vascular clamps, and organ holders. Hemostatic surgical instrument used are Billroth’s clamps, hemostatic “mosquito” forceps, atraumatic hemostatic forceps, Deschamp’s needle, Höpfner’s hemostatic forceps. Tissue unifying surgical instrument used are: needle holders, surgical needles, staplers, clips, adhesive tapes. A masterpiece of precision mechanics! Highly precise eye tonometer according to Prof. Schiötz for measuring intra-ocular pressure. Its reliability and durability makes this quality measuring instrument indispensable in every ophthalmologist’s practice and eye clinic. Perfect reading of the scale with red pointer. All vital parts are made of stainless steel, other parts are chrome-plated. Complete in a black deluxe case with velvet-look inserts. Supplied with three weights (5.5 g, 7.5 g, 10 g) and a conversion table. Specification 5, polished weights, with inspection certificate. 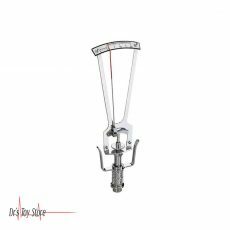 Below is a list of the Best Surgical Instruments brands that are available for purchase at Dr’s Toy Store.